Ideal for: The pale Scandinavian look. Not ideal for: Muddy shoes and pets. 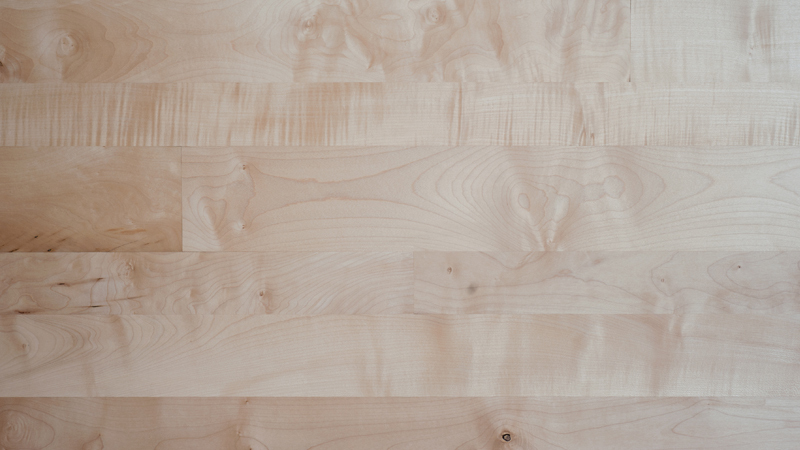 Sycamore is the palest of all our floors which makes it perfect for rooms with little natural light. It has a creamy white colouring with occasional contrasting dashes of dark olive brown that are created by the minerals beneath the roots of the tree. Occasionally the tree grows with natural folds in the wood which, when converted into flooring, becomes a stunning ‘ripple’ with a three-dimensional appearance. The grain is fine and silky which makes the flooring ideal for bedrooms and play areas but not so good for spaces with heavy foot traffic and dirty shoes.